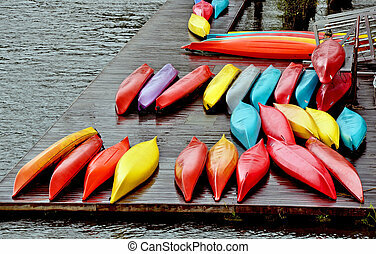 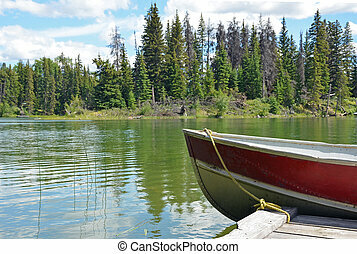 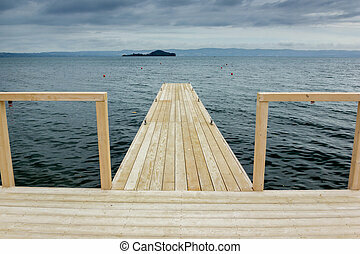 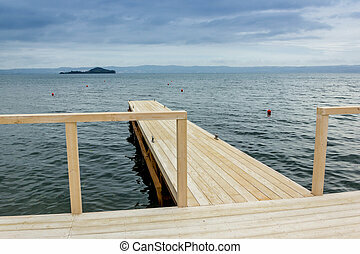 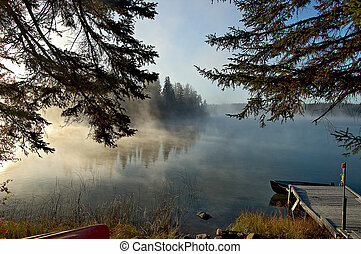 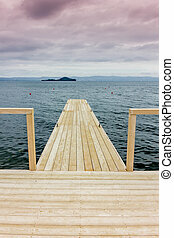 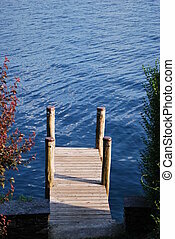 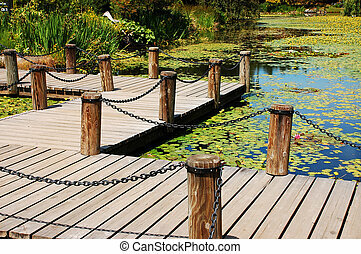 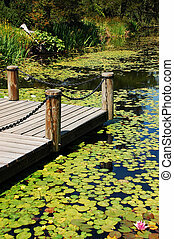 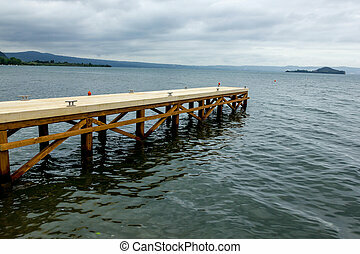 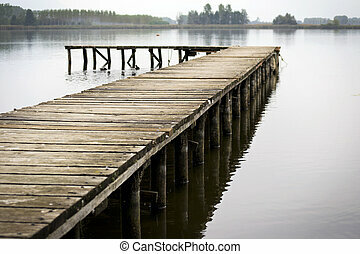 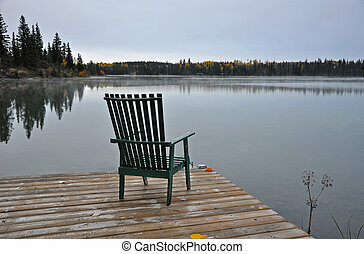 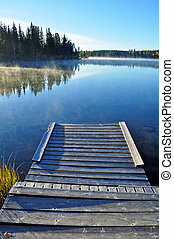 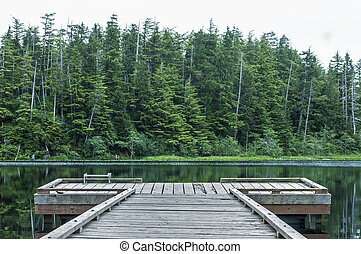 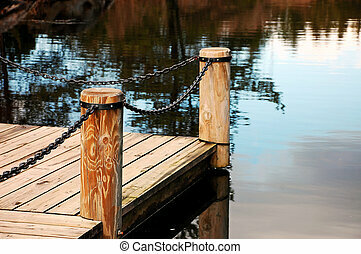 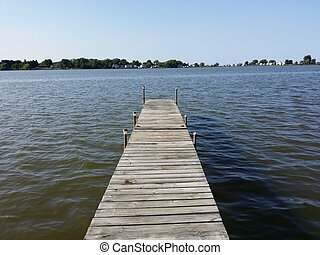 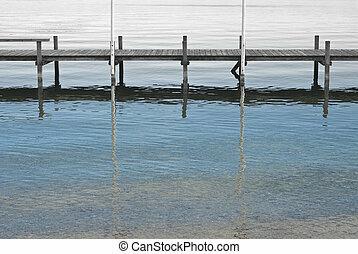 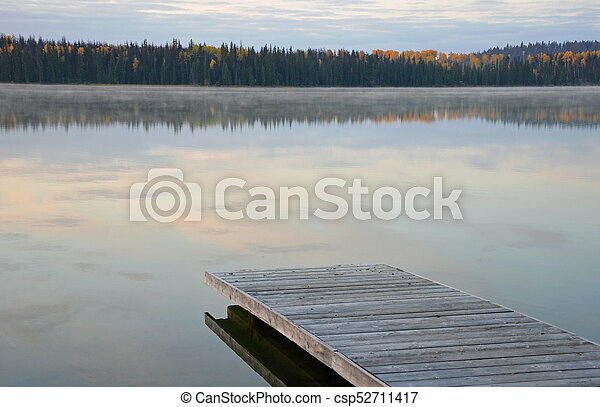 Dock on peaceful lake. 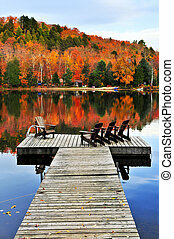 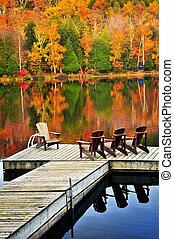 Dock on peacful reflective lake in autumn. 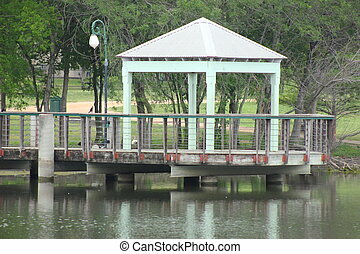 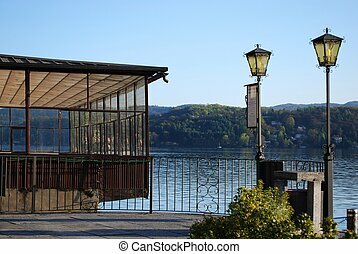 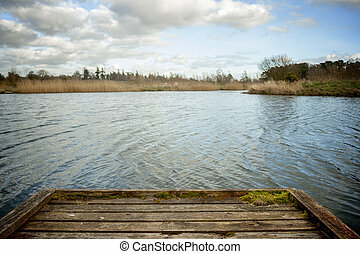 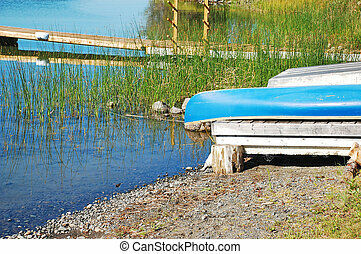 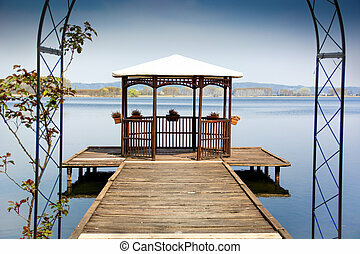 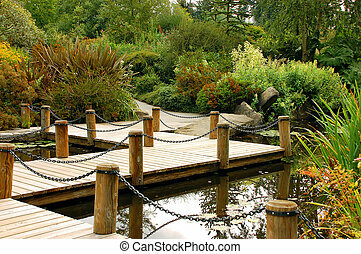 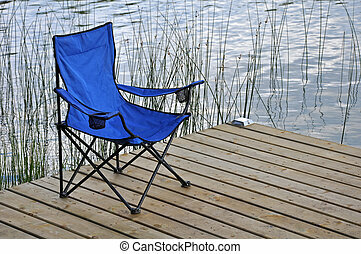 Covered dock sitting overlooking a pond or lake.